Mike Kunkle is a highly-respected sales transformation architect and internationally-recognized sales training and sales enablement expert. He’s spent 34 years in the sales profession and 24 years as a corporate leader or consultant, helping companies drive dramatic revenue growth through best-in-class learning strategies and his proven-effective sales transformation methodologies. 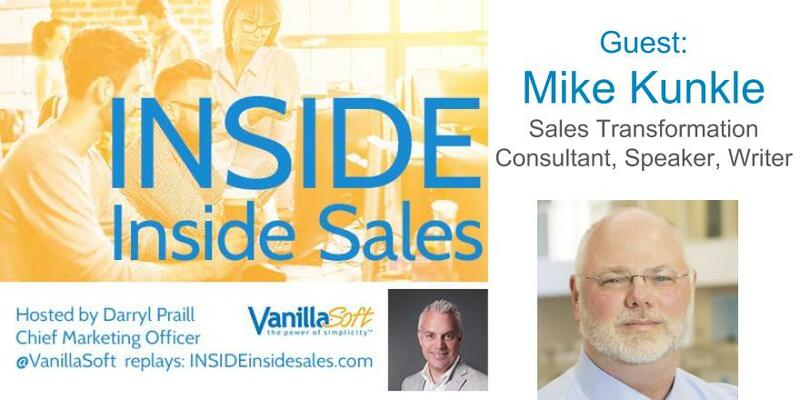 Today, Mike is the founder and sales transformation architect for Transforming Sales Results, LLC. He consults, advises, writes, speaks, leads webinars, designs sales learning systems that get results, and guides clients through all aspects of their sales transformation.